Orthopedic surgeons at Summerlin Hospital Medical Center use advanced techniques and technology to diagnose and treat your injuries and disorders involving your bones, joints, ligaments, tendons, muscles and nerves. Physical and occupational therapists are available to work with you to help improve your recovery time and your mobility skills. In addition, we offer acute inpatient rehabilitation and outpatient therapy services for patients who require more extensive or ongoing therapy. We can get you closer to your normal range of motion you once had using our advanced procedures for orthopedic care. Every injury or disorder to the musculoskeletal system is different, and in most cases, there can be multiple forms of treatment. If your physician finds that medication, exercise or other alternative options cannot provide the proper care, they may recommend surgery. At Summerlin Hospital, we know that every break and fracture is different. That’s why orthopedic physicians perform careful examinations of each patient’s condition and injury to customize treatment. Physicians can guide their patients through treatment plans and the path towards recovery depending on the location or type of fracture sustained. Orthopedic physicians at Summerlin Hospital treat breaks or fractures in areas such as the hip, femur, ankle, humerus and pelvis. 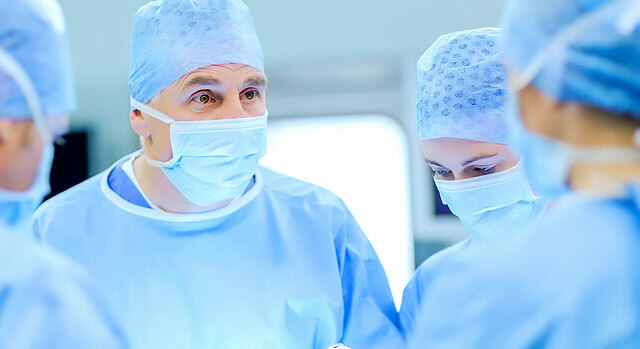 As with all surgery, your physician may not recommend certain procedures because of the risks or disadvantages that could arise. Be sure to talk to your physician to see if anterior hip replacement is the best option. Join us for a one-hour class designed for patients who are about to undergo joint surgery for hip or knee replacement. Instructors will define common terms, explain procedures and answer questions. Summerlin Hospital offers comprehensive inpatient and outpatient rehabilitation programs.